The Presidents’ Club for BFFs Only rode together again today to pay tribute to the late Barbara Bush in Houston. Melania came too. 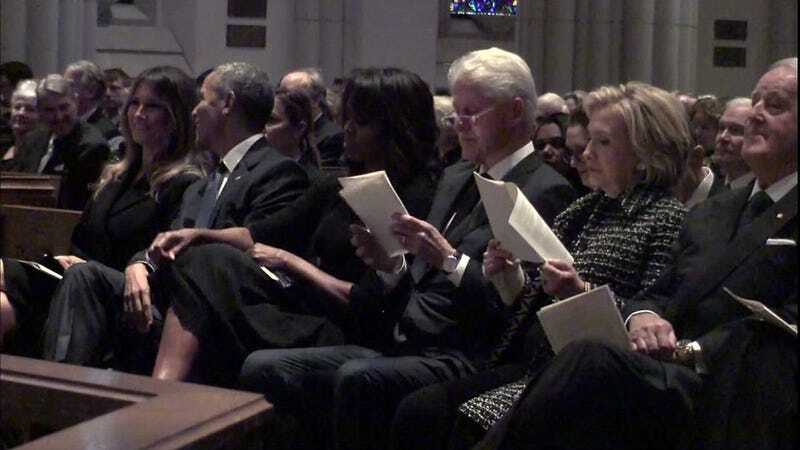 It was a funeral, but everybody was just so nice. Donald was in Florida, citing concerns that security would be disruptive.